Netflix is Doubling-Down On Anime – Will They Attract New Viewers? The Twitterverse has been constantly aflame over the past few weeks following the slew of announcements from the streaming giant Netflix regarding their planned re-boots and remakes of Japanese anime classics. Some of the most well-known and critically acclaimed anime classics in history, from the 1998 anime classic COWBOY BEBOP to the action series NEON GENESIS EVANGELION, have all been slated for remakes by Netflix, who have reportedly recruited many of the shows’ original producers to help consult on the projects. VIZ Media proudly announces the premiere of Season 2 of the hit anime series ONE-PUNCH MAN (ワンパンマン, Wanpanman) on April 9th, the same day as the Japanese broadcast. ONE-PUNCH MAN will be presented in Japanese audio with English subtitles with new episodes every week on Hulu, the streaming home for Season 2 in the U.S. Catch the official trailer for ONE-PUNCH MAN Season 2. Based on the best-selling manga series created by ONE and illustrated by Yusuke Murata (published by VIZ Media), after three years of “special training,” Saitama’s become so strong that he’s practically invincible. In fact, he’s too strong — even his mightiest opponents are taken out with a single punch. Alongside Genos, his faithful disciple, Saitama begins his official hero duties as a member of the Hero Association, while Garou, a man utterly fascinated by monsters, makes his appearance. Watch the Academy Award-nominated MIRAI (未来のミライ, Mirai no Mirai, 2018) in select theaters nationwide during a last chance screening on February 18. The Japanese animated film from Mamoru Hosoda, the celebrated director behind THE BOY AND THE BEAST, WOLF CHILDREN, SUMMER WARS, and THE GIRL WHO LEAPT THROUGH TIME, and Japan’s Studio Chizu, is an Academy Awards Nominee for Best Animated Feature. It was also a Golden Globe Awards Nominee for Best Animated Feature, the Annie Awards Winner for Best Animated Independent Feature, and a Cannes 2018 Official Selection, Director’s Fortnight. Win LU OVER THE WALL Blu-ray/DVD Combo Pack! Blu-ray + DVD packaging, courtesy of Shout! Factory. Shout! Factory is offering SciFi Japan readers a chance to win a GKIDS Blu-ray/DVD Combo Pack of Masaaki Yuasa’s fun new musical feature LU OVER THE WALL (夜明け告げるルーのうた, Yoake Tsugeru Ruu no Uta, 2017). The anime film was an official selection of the 2018 Sundance Film Festival and winner of the Cristal, the highest prize of the 2017 Annecy International Animation Festival. Yuasa presents a joyous twist on the classic fairy tale about a little mermaid who comes ashore to join a middle-school rock band and propel them to fame. Japan Society NYC presents the North American Premiere of short films by the acclaimed Japanese stop motion animation artist, Tomoyasu Murata. One of Japan’s most prolific independent animation artists, Tomoyasu Murata (b. 1974, Tokyo) has steadily created breathtaking, boundary-breaking stop motion animated films over the last two decades. Inspired by the expressive power of traditional Japanese bunraku puppet theater, Murata’s films — at once tender, whimsical and mysterious — deal with themes of memory, absence and mujo (the Buddhist concept of impermanence) through the cinematic manipulation of his meticulously handcrafted puppets and fantastical miniature sets. 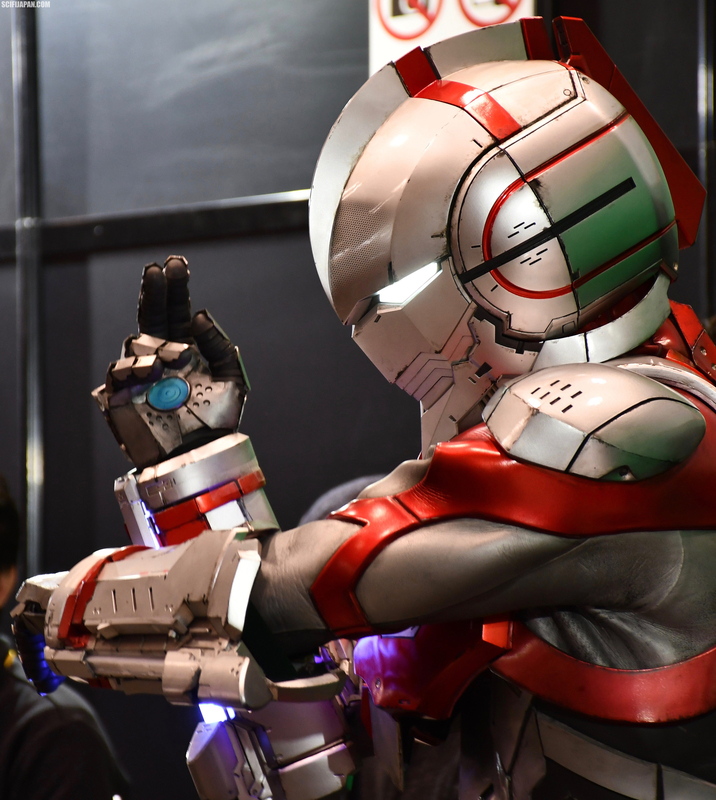 Direct from Tsuburaya Productions — SciFi Japan has information and high-res images from the new ULTRAMAN anime series! 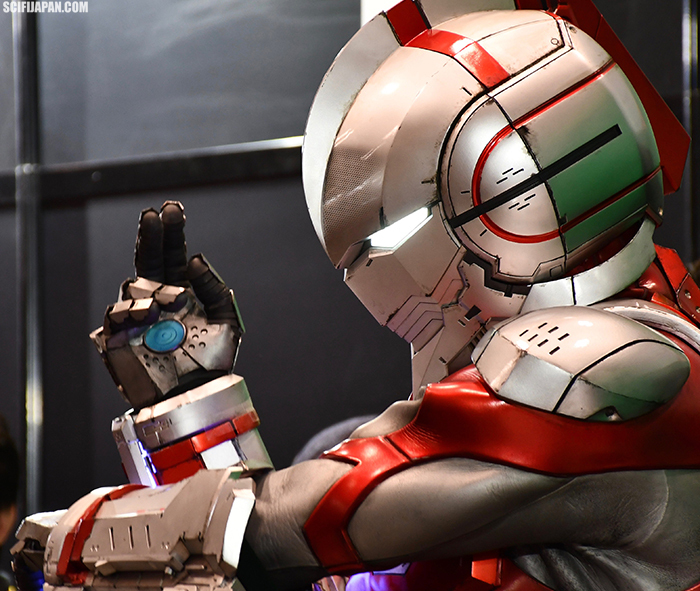 Tsuburaya Productions has provided SciFi Japan with an update (including exclusive large promotional images) for their upcoming anime series ULTRAMAN (ウルトラマン, Urutoraman). All 13 episodes will exclusively stream on Netflix in over 200 countries, including the United States and Japan, on Monday, April 1st. GKIDS, the acclaimed distributor of multiple Academy Award-nominated animated features, and Fathom Events, continue their collaboration to bring treasured animated features to U.S. cinemas with OKKO’S INN (若おかみは小学生！, Waka Okami wa Shōgakusei!, 2018). The latest feature from famed anime studio Madhouse and director Kitaro Kosaka, who was a key animator on numerous classic films at the venerable Studio Ghibli, OKKO’S INN seamlessly blends immersive, idyllic landscapes with storybook charm in a heartfelt journey about growing up and finding one’s way. The film OKKO’S INN follows Okko, who goes to live in the countryside with her grandmother, who runs a traditional Japanese inn built on top of an ancient spring said to have healing waters, after losing her parents in a car accident. While she goes about her chores and prepares to become the inn’s next caretaker, Okko discovers there are spirits who live there that only she can see — not scary ones, but welcoming ghosts who keep her company, play games and help her navigate her new environment. 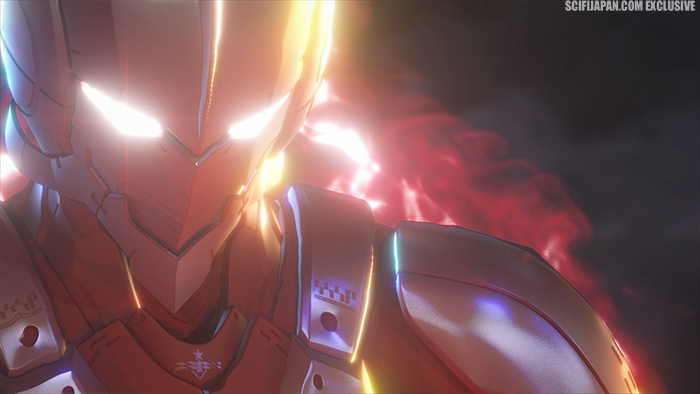 VIZ Media, LLC, a premier company in the fields of publishing, animation distribution, and global entertainment licensing, announces the home media release of MAZINGER Z: INFINITY (マジンガーZ ／ INFINITY, Majingā Z/INFINITY, 2018) on February 19th. Win MAQUIA: WHEN THE PROMISED FLOWER BLOOMS Blu-ray/DVD Combo Pack! Shout! Factory is offering SciFi Japan readers a chance to win a Blu-ray/DVD Combo Pack of MAQUIA: WHEN THE PROMISED FLOWER BLOOMS (さよならの朝に約束の花をかざろう, Sayonara no Asa ni Yakusoku no Hana o Kazaro, 2018), winner of Best Animated Film at the Shanghai International Film Festival and awarded Best Film for Fantastic Discovery at Spain’s Sitges Film Festival. MAQUIA is the directorial debut of renowned and prolific screenwriter Mari Okada (ANOHANA THE MOVIE: THE FLOWER WE SAW THAT DAY and THE ANTHEM OF THE HEART –BEAUTIFUL WORD BEAUTIFUL WORLD-). A heartwarming story of a mother’s love and irreplaceable time, the film dives into the dilemmas of motherhood, adolescence, femininity, and leadership. Okada wraps all these poignant themes into a sweeping epic with well-developed characters, emotional gravitas, stunning visuals, and an exhilarating score by composer Kenji Kawai (GHOST IN THE SHELL). The captivating anime feature A SILENT VOICE (映画 聲の形, Eiga Koe no Katachi, 2016) will be released on Blu-ray + DVD combo pack, DVD and digital download on April 2, 2019 from ELEVEN ARTS Anime Studio and Shout! Factory. Winner of the 40th Japan Academy Award for Excellent Animation of the Year, A SILENT VOICE makes its highly anticipated debut on home entertainment following its North American theatrical release in late 2017. This release is presented in Japanese with subtitles, and with an English dub. Sentai Filmworks and Kadokawa Pictures today announced that its first film in the two-part MADE IN ABYSS compendium, JOURNEY’S DAWN (メイドインアビス 旅立ちの夜明け, Meidoin’ Abisu Tabidachi no Yoake, 2019), will screen across hundreds of movie theater locations in the U.S. Heralded as an adventure that’s both hopeful and harrowing, JOURNEY’S DAWN will be shown in theaters on March 20 for the Japanese with English subtitled screening and March 25 for the English dub showing. The MADE IN ABYSS television series took audiences by surprise and garnered ecstatic reviews with its disarming facade that shrouded a dark masterpiece. Now, cinema audiences can experience the timeless story with newly added scenes and dynamic storytelling. Presented in partnership with Fathom Events, tickets for MADE IN ABYSS: JOURNEY’S DAWN are available at participating box offices and online at madeinabyssmovies.com and FathomEvents.com. To give audiences a unique experience, the event will include behind-the-scenes footage, Japanese created spots and a reflection on how MADE IN ABYSS mirrors fairytales. The fun new musical feature LU OVER THE WALL (夜明け告げるルーのうた, Yoake Tsugeru Ruu no Uta, 2017) from anime auteur Masaaki Yuasa (MIND GAME, THE NIGHT IS SHORT, WALK ON GIRL) will be released on Blu-ray + DVD combo pack, DVD and digital download on February 5, 2019 from GKIDS and Shout! Factory. An official selection of the 2018 Sundance Film Festival and winner of the Cristal, the highest prize of the 2017 Annecy International Animation Festival, LU OVER THE WALL makes its home video debut following a limited theatrical release last year. This release is presented in both the original Japanese language and English dub versions. Bonus features include audio commentary and an interview with Director Masaaki Yuasa, trailers and TV spots.